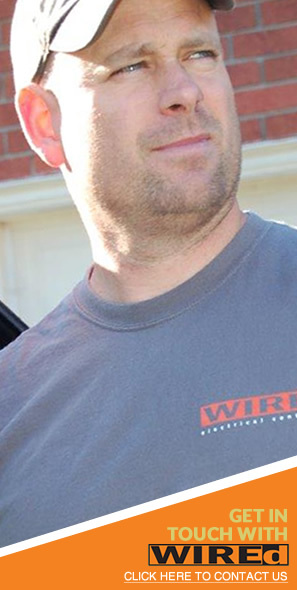 WIREd is a family-run business owned and operated by Master Electrician Jon Miller and his wife, Sue Costigan. Jon had worked for eight years with another electrical contractor, performing mostly commercial work such as wiring restaurants for Boston Pizza and McDonalds, as they expanded their franchises. With very long drives to many of the jobs, Jon and Sue decided to establish their own business, attempting to keep Jon closer to home, working locally, and spending more time with their three small children. WIREd was founded in October, 2005. Jon handles the estimating and technical/electrical work of the business, so he is dealing with the costumers on site. Sue manages the accounting and administrative end: keeping the books, scheduling, and communicating with customers by phone or e-mail throughout the duration of the project. It is very much a team effort, so that customers will be satisfied with all aspects of the job – from the workmanship and service to the communication and organization throughout. © Copyright 2019 Wired Electrical Contractor. All Rights Reserved. Web Design and Content Management by REM Web Solutions.